Our Story | Fritz Industries, Inc. Founded in 1956 by C. Fredrick “Fritz” Weisend, Fritz Industries has grown into an international manufacturing and distributing company serving thousands of commercial and industrial customers around the world. In the early years, Fritz Industries emerged as a research leader in the development of products based on applied chemistry and unique manufacturing processes. Fritz Industries pioneered concrete additives and other specialty products to provide solutions to the unique requirements of oil well construction, stimulation and completion. The knowledge gained in the development of oilfield products was applied to other unique products for markets such as construction, agriculture, water quality and aquaculture. Fritz Industries began manufacturing floor tile under the division name of Fritztile in 1962, offering a flexible, resilient flooring designed for industrial and commercial applications. The goal was to combine the beauty and durability of terrazzo with the ease of installation associated with vinyl tile. In 2010, the Fritztile Division was sold to Expanko, a resilient flooring company. This sale has enabled a focus on other manufacturing areas. In the early 1970’s, the Fritz Pet Products Division began with the manufacturing of all-glass aquariums and processing aquarium gravel. Today, the Specialty Division manufactures hundreds of pet products with an emphasis on the aquatics market, developing innovative products such as Fritz-Zyme 7 & 9, TurboStart and FritzGuard. The Fritz Aquatics line is marketed to major distributors and pet retailers throughout the U.S. and internationally. The Specialty division also manufactures products for large aquatic facilities, zoos and the largest public aquariums in the world. 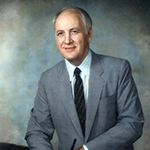 In 2009, Fritz Weisend appointed Dan Montgomery to take over as Chief Executive Officer before he passed away. Dan has been with the company since 1988, and has deep knowledge of the oil & gas industry—the company’s primary market. Along with the hard work and dedication of employees, Dan has guided the company through some of the most successful years in the company’s history. Today, Fritz Industries is an independent, employee-owned company with integrated manufacturing, customer service and on-site research and development. Corporate headquarters and manufacturing facilities are located in Mesquite, Texas with additional facilities in Greenville, Texas. We have become known for our success in custom manufacturing, employing an array of unique processes, allowing us to pilot new products and rapidly scale-up to volume manufacturing. Our toll manufacturing capabilities make us a strategic partner to companies hoping to supplement their product offerings. Fritz Chemical Company founded by Frederick “Fritz” Weisend. Instrumental in the introduction of dispersants in oil well cementing. Incorporated as a private corporation. Expanded blending and reacting capabilities to include cement fluid loss, defoamer, and dispersant additives. Began producing fluid loss and suspension additives. Fritz Industries began manufacturing floor tile under the division name of Fritztile, offering a flexible, resilient flooring designed for industrial and commercial applications. In the early 1970’s, the Fritz Pet Products Division began with the manufacturing of all-glass aquariums and processing aquarium gravel. Fritz Industries purchased facilities in Greenville, Texas and implemented a resin coated proppant manufacturing line. Dan Montgomery named as President/CEO. 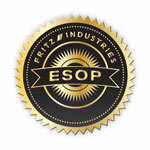 The newly formed ESOP purchased Fritz Weisend’s shares. Fritz Industries became an employee-owned company. Purchased second facility in Greenville, Texas. The ESOP purchased remaining shares to become a 100% employee owned company. Fritz Aquatics secures exclusive royalty agreement with Sergeants Pet Care Products, Inc. for their Mardel and Aquarium Product lines. Achieves company wide ISO certification. Enters exclusive agreement with Baker Hughes Inc. to offer select Flow Assurance products to the market.